Did Hitler plan to pursue global conquest once he had completed his mastery of Europe? 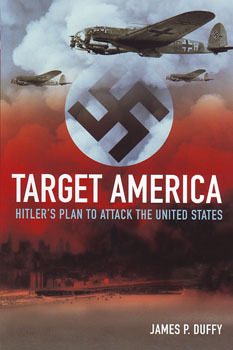 In this startling reassessment of Hitler‘s strategic aims, Duffy argues that Hitler fully intended to bring the war to Amer-ica. Detailed here for the first time are the Third Reich‘s plans for a projected series of worldwide offen-sives using new secret weapons emerging from wartime research.